The Sunninghill Form 5 rugby team embarked on a short tour to Bath this month. 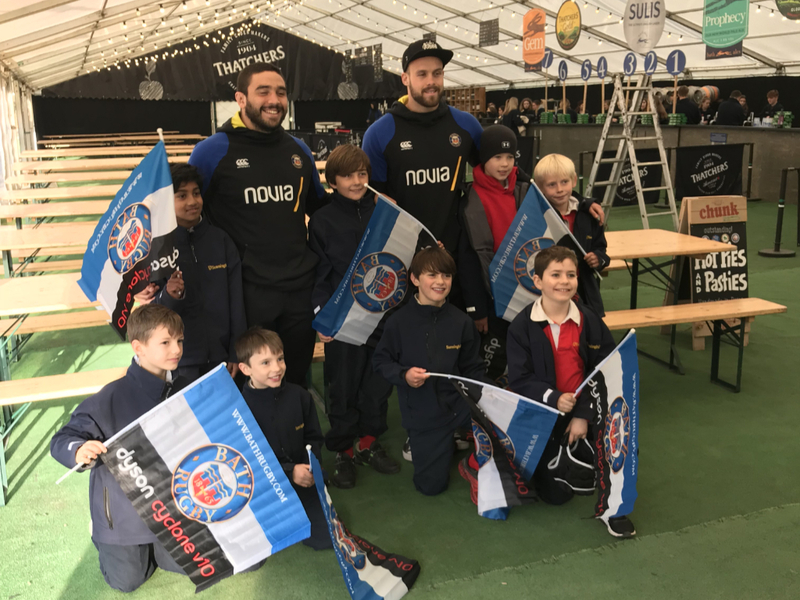 The team completed a packed schedule that included a match against Warminster school, a coaching session at Bath Rugby club, a question and answer session with Bath players and a chance to watch Bath Rugby take on Worcester Warriors at the Rec. The team started the weekend with a narrow defeat to a strong Warminster team. In the end, the teams were separated by a single point with Sunninghill losing by 6 points to 5. The team loved the experience of playing away from school and felt that the experience really helped them to come together as a team. The team rounded off the weekend by watching Bath Rugby claim an exciting 28-13 win over Worcester Warriors. When asked about their experience, the Form 5 pupils said they loved every minute of it. Tom said ‘I really enjoyed asking the Bath Academy team questions and got some interesting tips which will make a noticeable difference to my game’. The whole team was amazed by how huge and fast the players were.